Let us help you reach achieve your goals and reach your full potential! Do you need Executive Functioning Coaching to fight EFD? EFD is a relatively new term used to describe mild, moderate, or severe impairments in accomplishing age-appropriate tasks and goals – also known as Executive Functioning capacities and skills. It’s more common than you may realize. Have problems with organization and keeping to a schedule? Set goals and fall short of achieving them? Put forth real effort but still do not get the results you want in life? Find it difficult to prioritize steps or tasks? Feel discouraged or depressed because you’re not able to demonstrate your unique gifts and achieve goals that you know you are capable of achieving? Getting through your daily/weekly “To-Do” list? Taking classes or pursuing a degree? Getting healthier and more ‘fit’? Changing unproductive or unhealthy behaviors? In addition to these, sometimes, but not always, EFD is accompanied by other disorders such as ADD, Autism Spectrum Disorder (previously known as Asperger’s Syndrome), addiction, anxiety, depression, or poor health. Sometimes you need both, sometimes one is more important than the other. The important thing is to have your therapist and coach working insync to deliver you the right support when you need it. Take heart. You can achieve your goals – with real help this time! Insync Support’s continuing education curricula is approved by the American Psychological Association to sponsor continuing education for psychologists. Insync Support maintains responsibility for this program and its content. 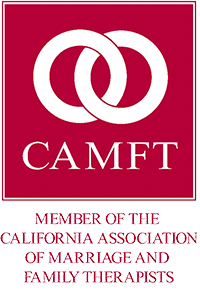 Insync Support is approved by the California Association of Marriage and Family Therapists to sponsor continuing education for MFT’s, LCPC’s and LCSW’s licensed in the state of California. /CInsync Support maintains responsibility for this program and its content.